Vegies, poultry, kids, dreams, oh such big dreams and dinners not even on the table yet! The raised beds here at Little Farm are completely enclosed. see here for more details Because of this Worms cannot enter the gardens. In the first years, worms numbers were low. A few came within the soil from here, but numbers weren’t enough to sustain a healthy soil. But I’ve since managed to increase the number of worms in the gardens! Soil is worm food, a good soil means good worm food. 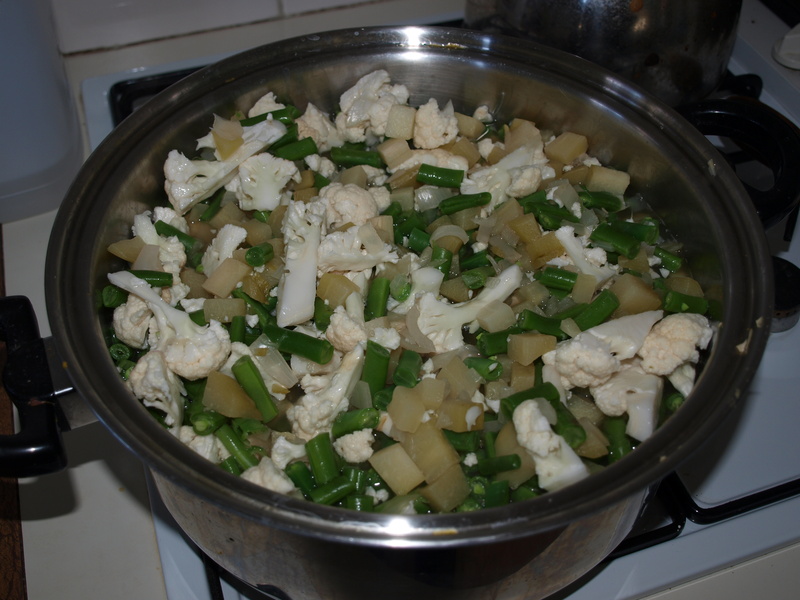 To create this ‘good food’ I began by only using organic products. Blood and bone, organic dynamic lifter, compost and my ‘homemade’ chicken poo. It’s dug in, to get as much ‘organic matter’ into the soil. Soil Microbes are found within all soils and they will begin the breaking down process, but add worms to the mix and it will happen faster. With the soil fed, it’s time to look to the worms. How exactly did I get worms? Anytime we dug in the ground, it rained or lifted rocks and garden edging, we found worms. 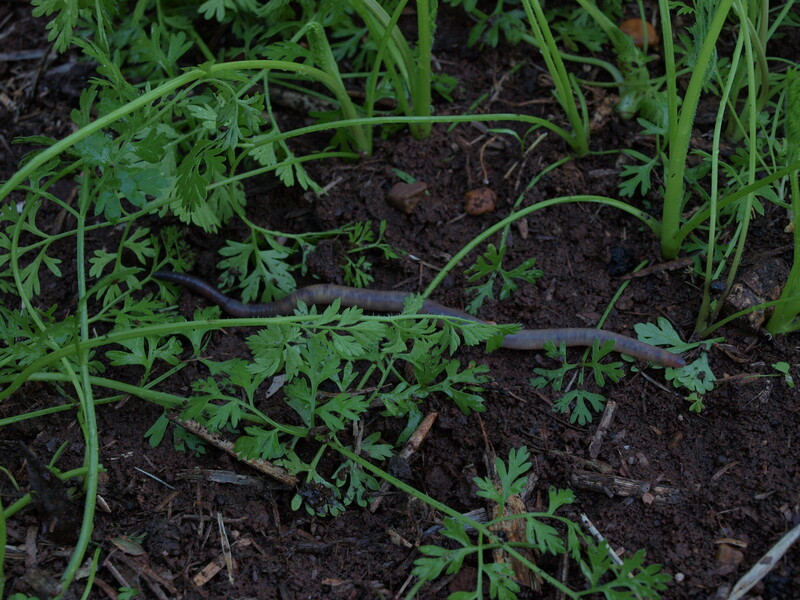 These worms went straight into the gardens. Instant worm number boost. This happened over a period of a few years. And now there are worms in abundance. 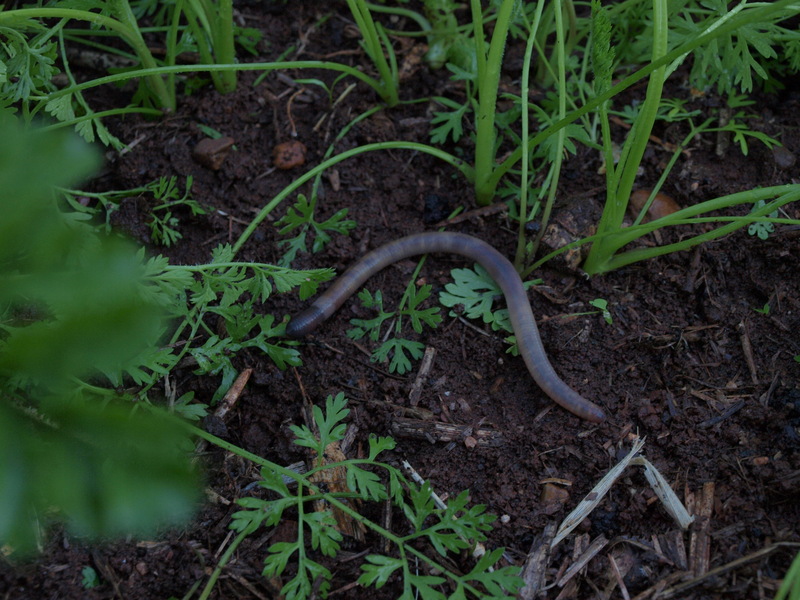 Another way to encourage worm wildlife is to use compost worms. Normally these worms are kept within a wormfarm system. I’ve had varied rates of success with worm farms, most end with the death of worms as I’ve forgotten to feed them! One method I’ve wanted to try is worm farming within the garden beds. 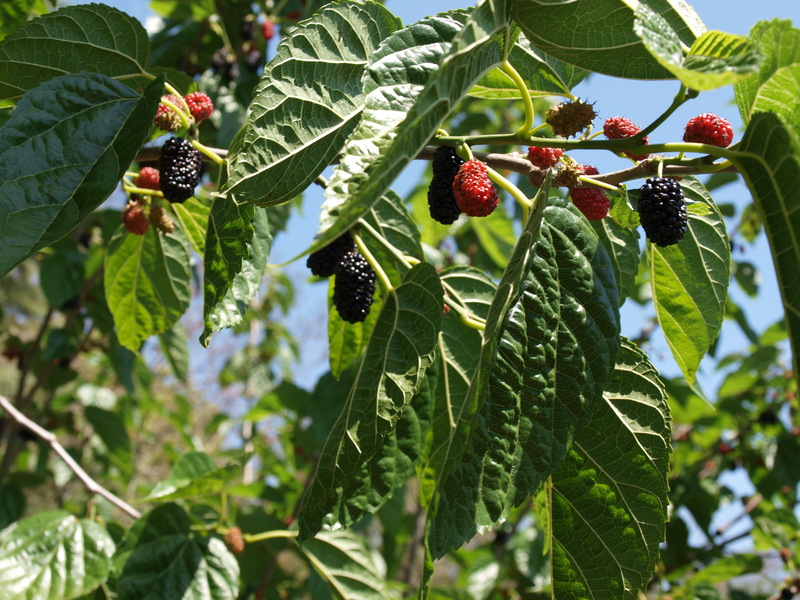 Inserting a tube, with holes drilled into it, in the ground, add worms along with a few good handfuls of worm ‘food’. A bucket with a lid and the bottom cut off works a treat. The idea behind this method is the worms will leave the tube dispersing their casting within the soil and will return to the tube to feed. Has anyone had any experience with this method? After the death of two hens in early March and egg numbers, almost none existent, I felt it was time to increase our flock numbers again. 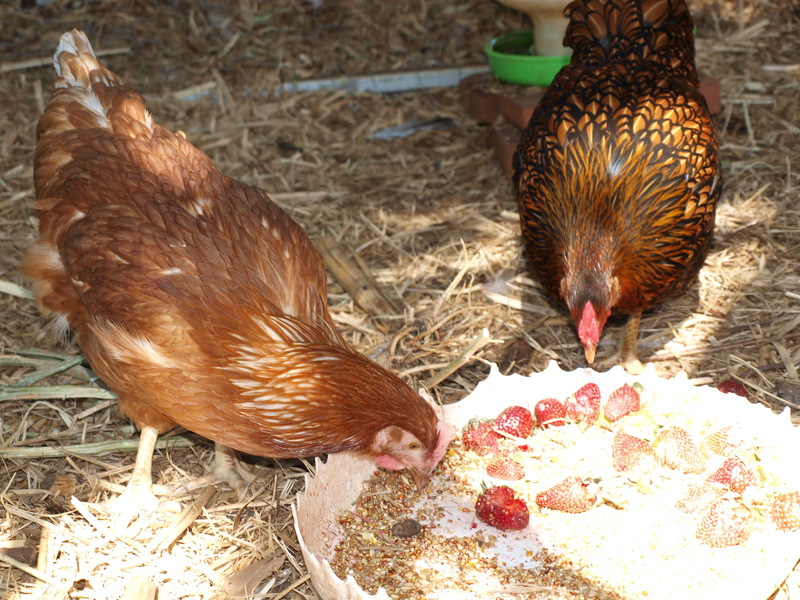 The two that passed away were hybrid hens – the two red hens in the above image. 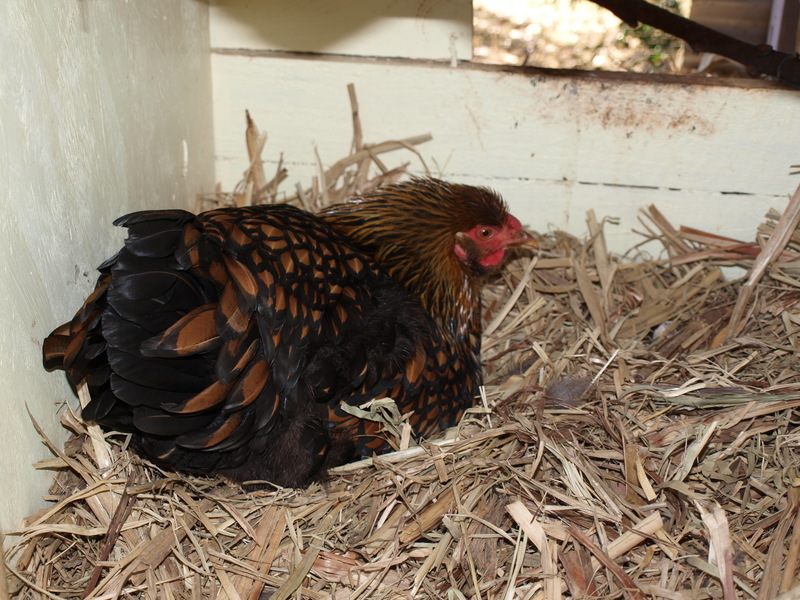 Known to be great layers (with hilarious personalities) these hens are bred for the sole purpose to lay. Often all through winter too. But sadly with tendency to lay themselves to death. I won’t go into the details but I could see it happening and tried my best to nurse them back to good health but it was inevitable. Both died within two weeks of each other. I waited a few weeks to make sure no others were sick, before deciding to bring in new layers. What breed of hen to get this time? I knew I wouldn’t be buying hybrid hens again. Oh the decisions…. 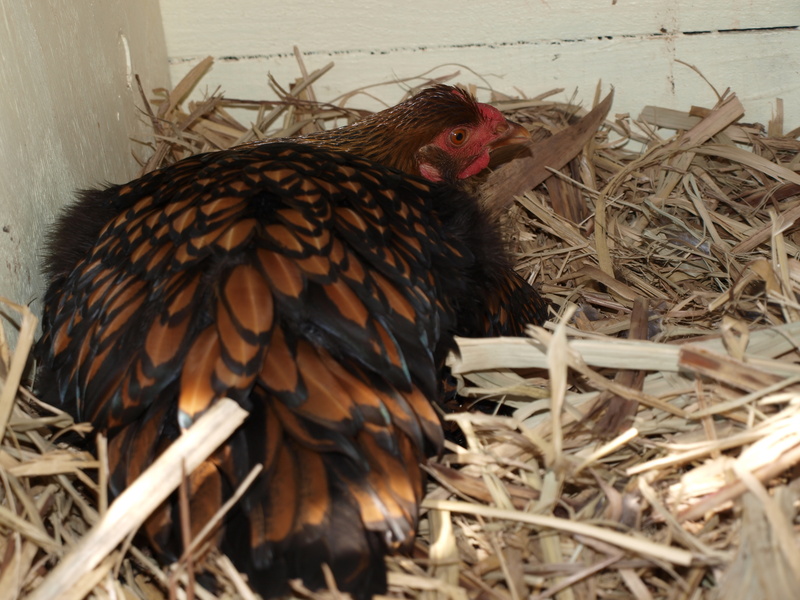 I decided upon Bantams. Small, quiet and kid friendly. Also I could have more of them! Now for a little plug to a local business, Ornamental Poultry. Situated at Zimms Corner. Oh what a range they have! At our visit they had a lovely range of Pekin and Silky Bantams. 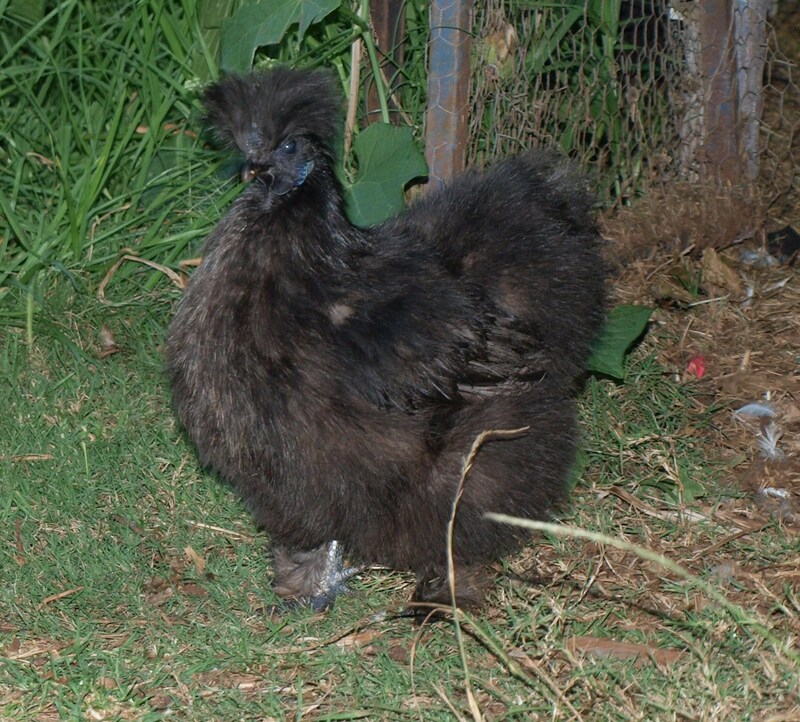 We picked out a black Silky, a black Pekin and a splash Pekin. Tiny bits of fluff who should begin laying within the month. If I had room I would have also picked out a few Light Sussex, a few more ducks and maybe guinea fowl too. Also he stays inside at night and wears a collar with enough bells, to warn every bird in a 2km radius. 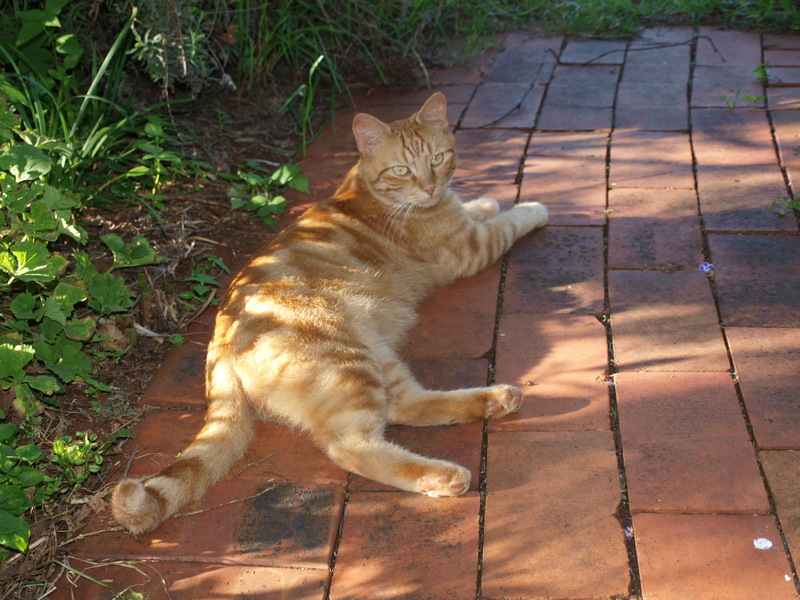 He is currently sleeping under the passionfruit vine, looking blissfully happy. One day in the garden and the girls have left little or in some cases rather large landmines everywhere. Including right outside the back door. Yep of course I stood on it! There are boy boys in this house too. 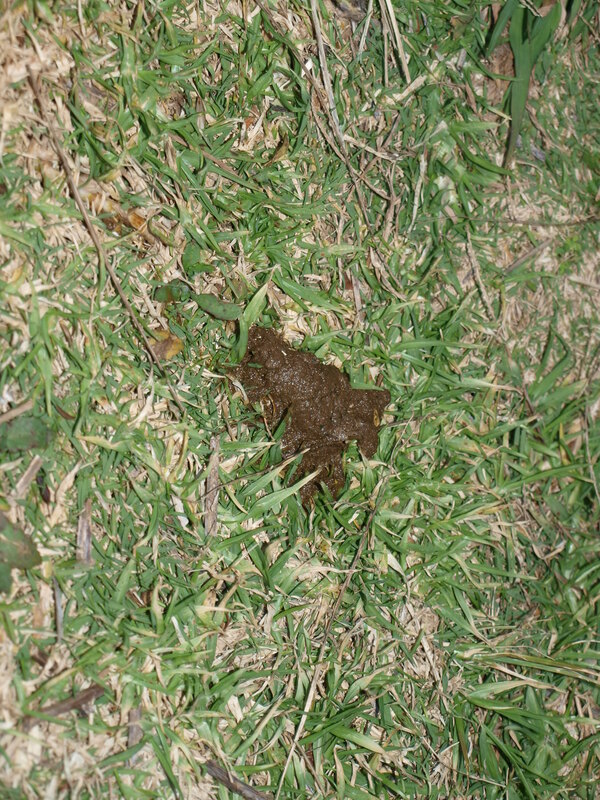 They go barefoot in our yard and if they step on a fresh poo, they just find the nearest long grass or a stick and wipe it off! (much to their Grandmas Shock!) 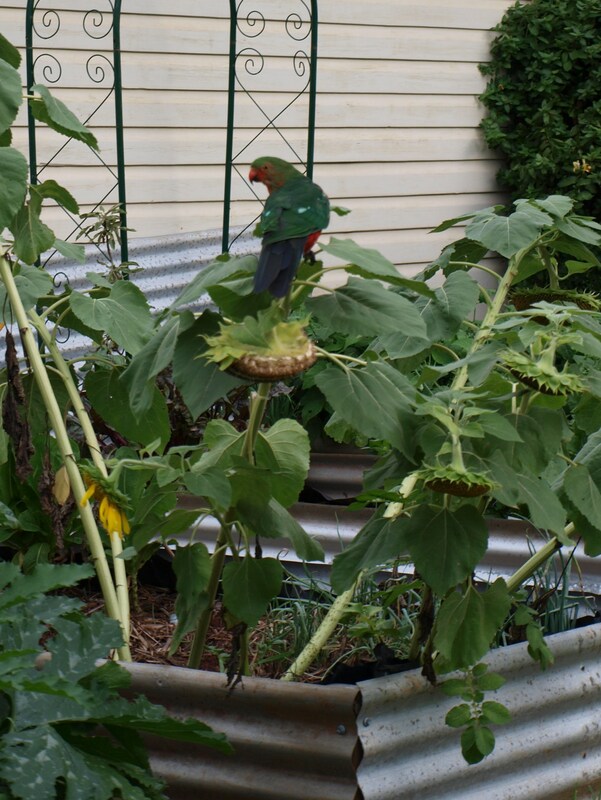 I love that they have chicken friends, catch lizards and worms. 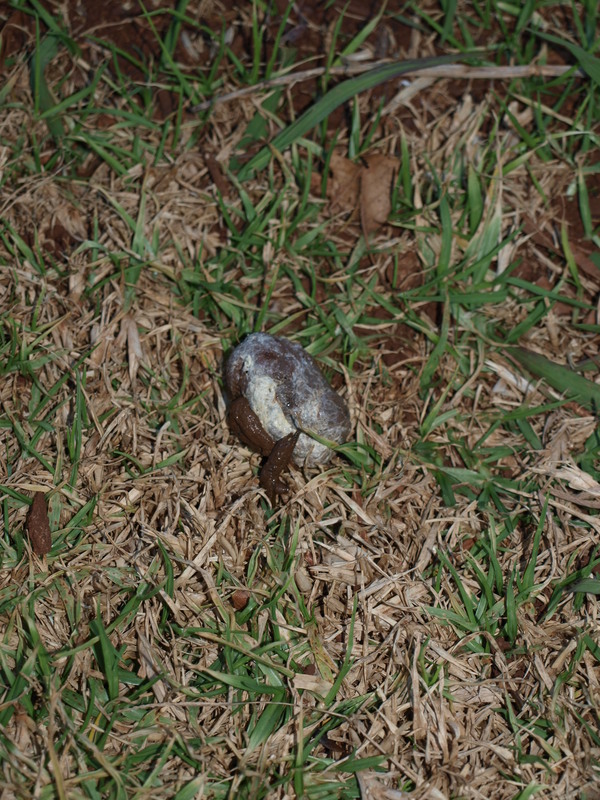 Keep snails and slugs for pets. And play in mud and dig holes just for the hell of it. 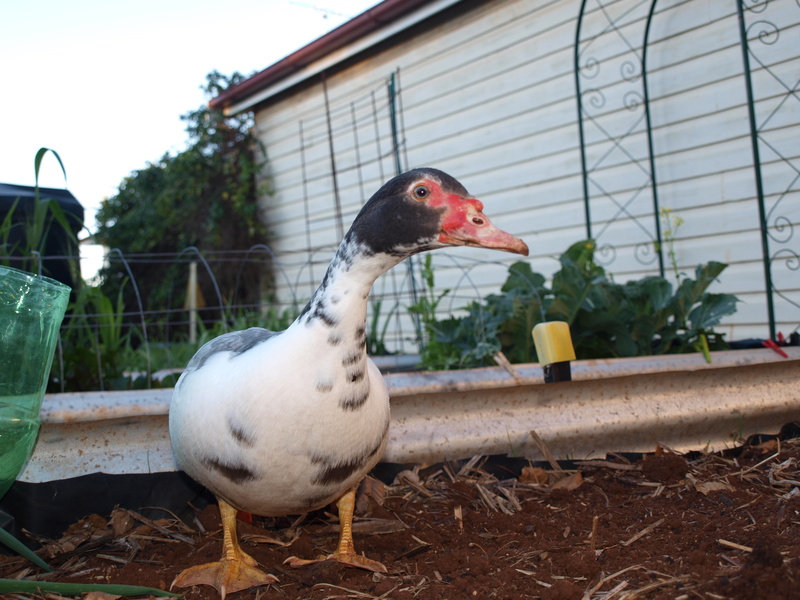 While the girls were out on their afternoon stroll, I let the duck out of her temporary home and into the wire palace. Being a duck I assumed she would enjoy a paddle in some water. Do you think she is enjoying herself? Tonight she is spending her first night in the wire palace. 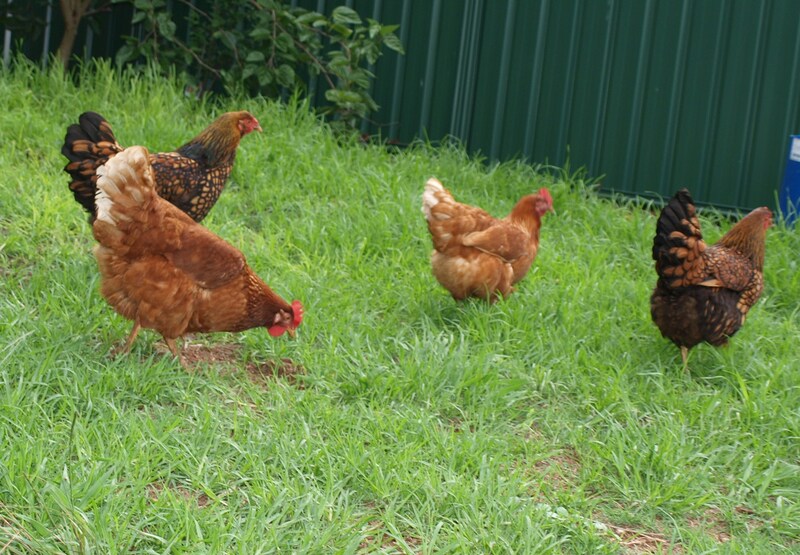 Much to the terror of the chooks. Apparently they do not like ducks. Which is sad as the duck likes them. In the last of the afternoon sunlight they were all going around and around the pen, chooks in the front and the duck in the rear. I am hoping at sunrise we won’t be woken up by chooks freaking out at the sight of the duck! Most people would find a stray dog or maybe even a kitten. But me? What is it about me that attracts lost poultry? Seriously Wednesday morning a stray duck appeared in our yard. After a quick google I think its a she muscovy. And heck it can fly. A 6ft fence is nothing. 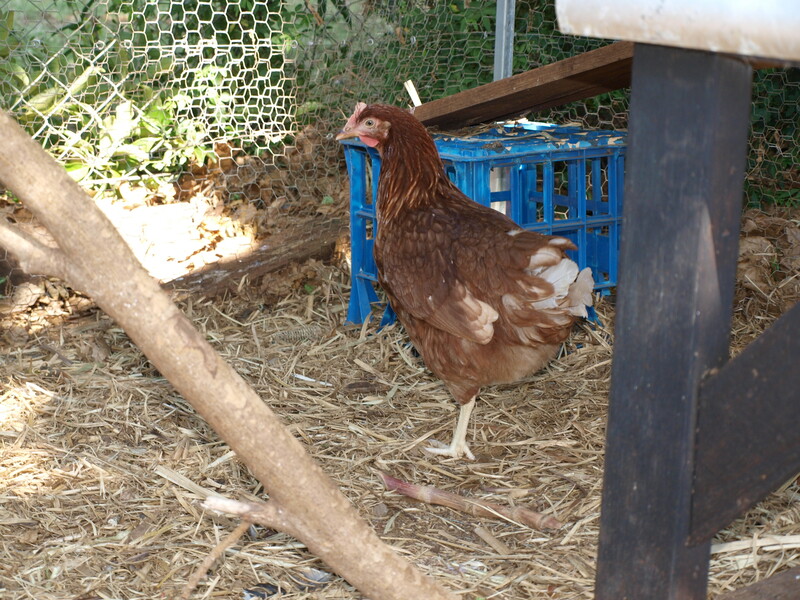 So currently she is residing in the old guniea pig house, as the chooks did not like the sight of a duck in, near or around their pen. She wags her tail at the sight of clean water and a fresh lettuce from the garden. And mutters a sweet ducky quack when she is given grain. 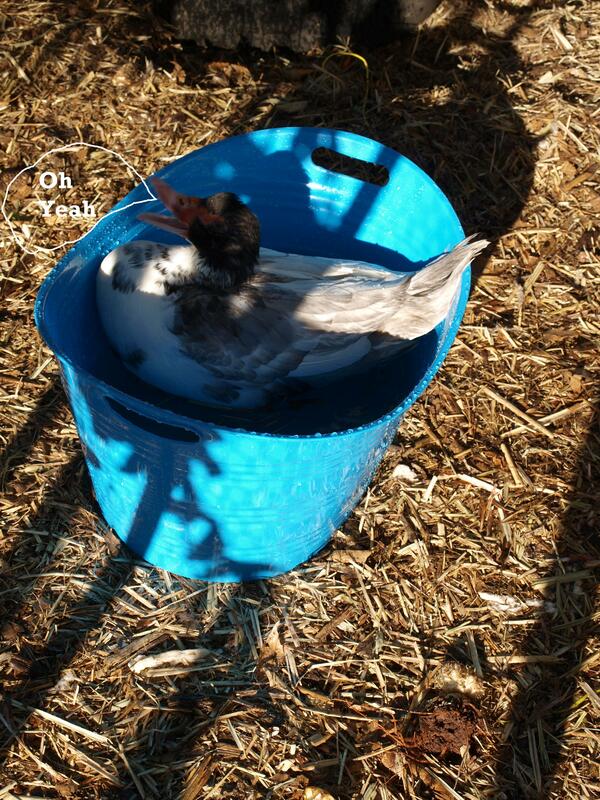 (Muscovies don’t quack) Obviously a loved pet. So what to do? For now she is safe and I will try to find her owner. Every afternoon for the last week, two feathery visitors have dropped by to feast in my garden. 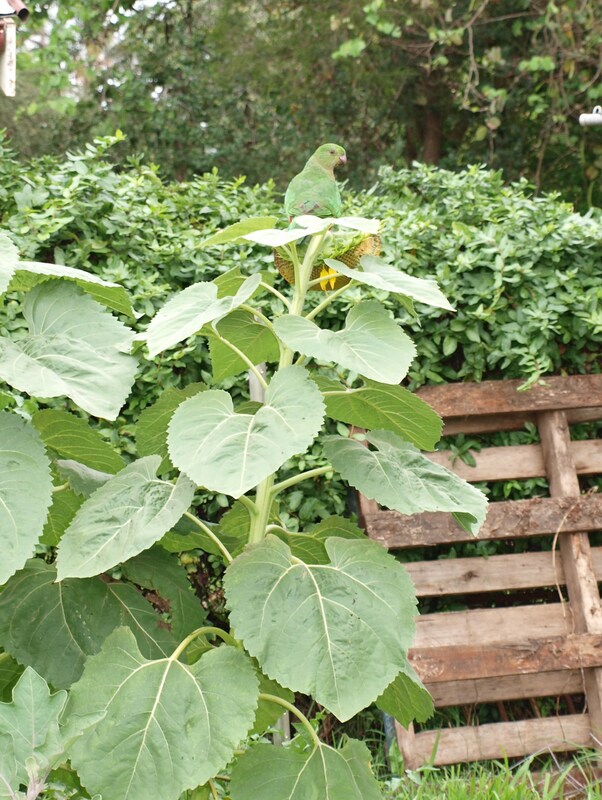 A breeding pair of King Parrots. above – This is the female, she is very quiet and will only move if she really has too. above – This is the male, he is a bit flighty and acts as the look out. And this is what they are feasting upon. Sunflowers. 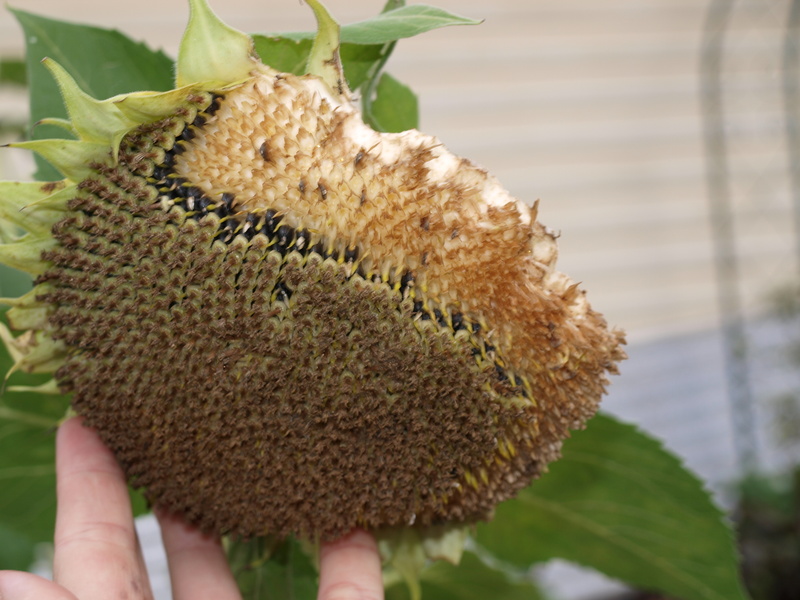 I was planning on keeping the seeds for the chooks, but since these two have shown up I have decided to let them have this lot. 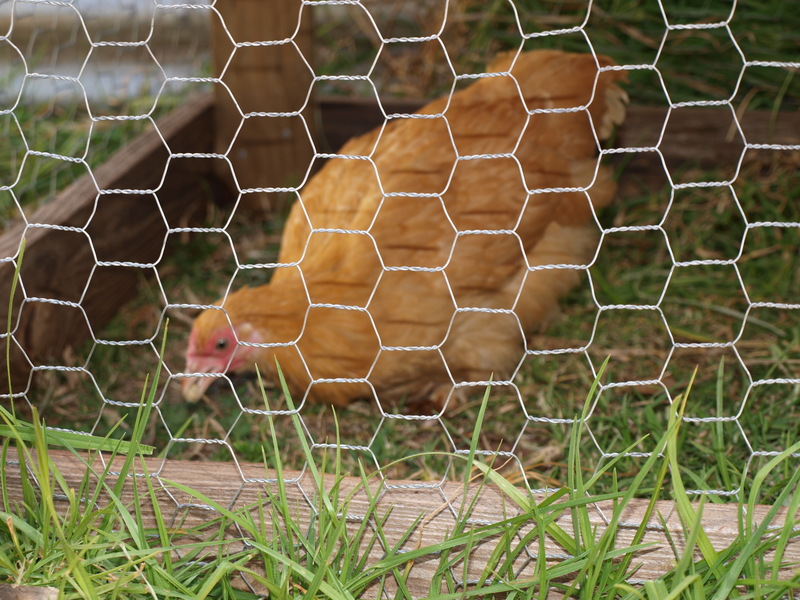 Maybe it is the ‘growing’ mothering instinct I seem to have or maybe the fact I cannot bring myself to eat eggs brought from a grocery store or maybe the fact my clucky girls seem to think eggs only come out once a week – That I brought two new hens. More you think didn’t I just giveaway the last 4 I brought? This time I talked to my husband (who is gravely missing his bacon and eggs on a Sunday) and we decided either a hybrid like the first girls we ever owned or a similar breed would suit our small scale flock . So off the boys and I went and found 2 Rhode Island Reds POL. Only $16.50 each. But wait there is more. Oh yes my boys had pocket money with them and the damn erm lovely man working at the store let my boys cuddle the baby chicks. Oh such sweet sweet little peeps. How on earth could I resist sweet babies and the looks on my boys faces cuddling those babies? I brought two. One is a bit older than the other (guaranteed a hen) and the other is a bit smaller, theres a chance it could be a rooster, but it looks very ‘henish’ to me. My two girls think they too are going to have babies. 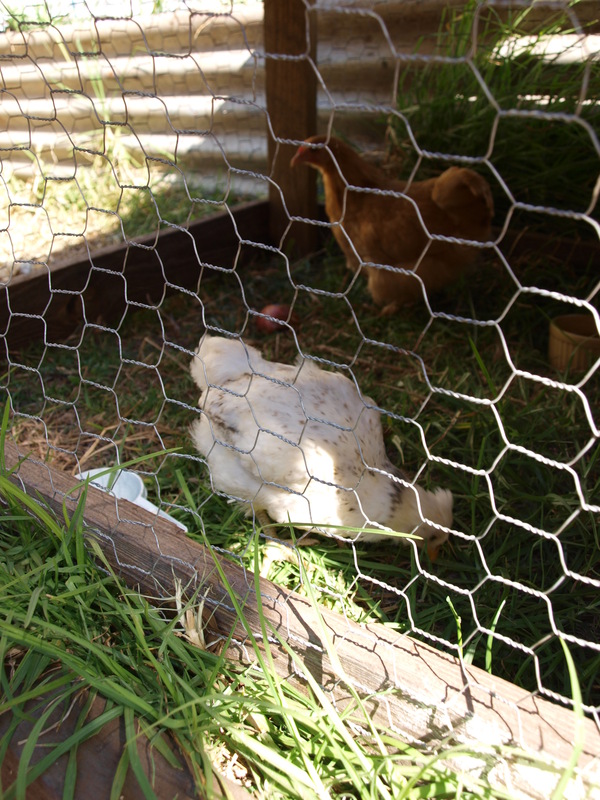 ‘Greenie’ (called as she is slightly greener than the other hen) isn’t to interested in sitting for long, but Goldie (above) is sitting and not moving. She shrieks an awful noise when I take Greenies egg from under her. Better yet she has no tummy feathers left as they are all lining her nest and she has lost some weight but is still eating with Gusto when I force her off the nest. 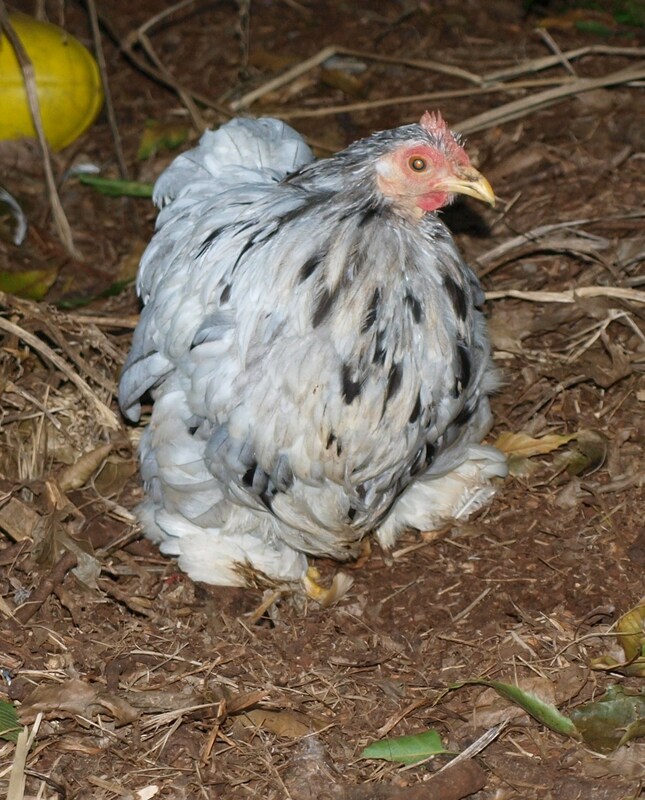 I’ve read that the Golden Lace Wyandottes can be clucky more than other breeds, but they have only been laying a few months. So this has totally caught me by surprise. She has been sitting for abit over a week now, will she move when she has had enough of sitting with no results or should I intervene?